For those interested, the new bottling have hit US shores. Astor. 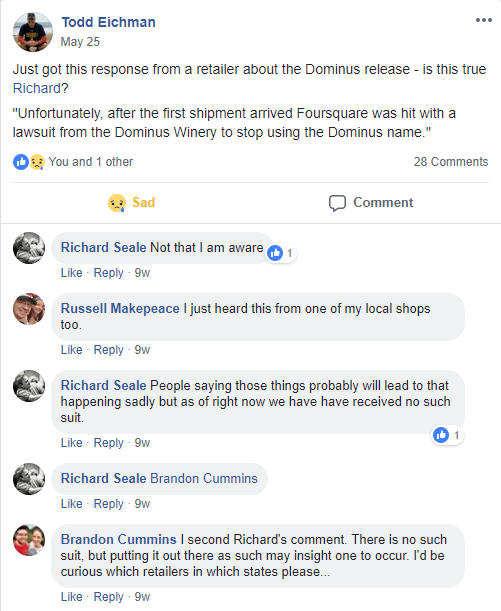 Adding to the rumor mongering I saw a note somewhere the Foursquare Dominus has run into some sort of trademark trouble with the name. 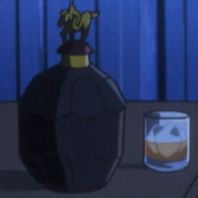 But i have had no luck finding either a bottle locally or where I saw the original rumor. Both Premise and the 2005 have landed but Dominus simply never appeared and the reason why is a apparently as much a mystery to the local distributor as it is to me. Nor can I find any further confirmation of said rumor. Is it indeed just a rumor or is there any meat on this particular bone? interesting, bottles made it out here to CA, Ive got 2 in the closet. Richard Seale and the importer Altamar both said on Facebook there was nothing to this rumor. Dominus is half the release size of 2005 and Premise. I found some bottles so it definitely got out but in small numbers and not in many places in the US. Here's a screen shot from The Foursquare Rum Appreciation Society back in May. David OG, the main K&L spirits buyer, has mentioned the "trademark dispute" twice in the K&L Spirits Journal, here and here. This might be where you read it, Bruce? The owner of another local spirits shop said the same thing to me. Like the person quoted in that FB post, he seemed to think the dispute was filed by Dominus Estate (winery) in Napa. Actually I think the poster lives near me so perhaps we are referencing the same person. None of this makes it true, of course. Both of the people I mentioned above generally know what they're talking about but if the info is false it could have been passed through a usually-reliable source, making it more believable. The alcohol world can be small and given that much of this info seems to be coming from Bay Area retailers (well K&L is only partially in the Bay) and it involved a local winery, perhaps this started with someone from Dominus simply expressing displeasure at the naming of the rum and it spread from there. What I do know is that the retailers I frequent received relatively very few bottles of the Dominus and they're convinced they won't be getting any more. OK, could be the source I saw. I just know that while 2005 and Premise arrived without issue in Atlanta I have not seen Dominus in Atlanta and more importantly neither has the distributor which is very frustrating. I think it would be stupid were it true. With the explosion of wine, beer and liquor brands there aren't that many unique names out there and it is not like a rum is going to be confused with a wine. Hell, the publicity might be doing the winery a favor! I know the Dominus was much more limited than the 2005 (6000 bottles of Dominus vs 12000 of the 2005 worldwide, probably half to that to the US) but it not showing up there at all is peculiar. There does seem to be something strange going on, but not sure what it is. Maybe this is just another case of the three-tier system (plus an importer in this case) not working well? Or maybe there is some sort of pending legal action, which I agree, would be stupid. 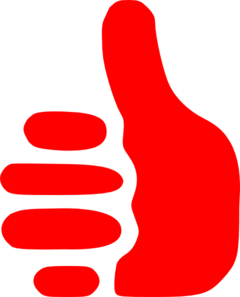 I just received an email blast from an online liquor retailer announcing an LE-Bourbon-like lottery specific to Dominus-- so it really must be a tough score. Plus, they've elevated the "retail price" to $95.00. 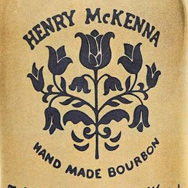 The Whisky Exchange still has 70cl bottles in stock for $61. Weird. I've already stumbled on three bottles of Dominus on the shelves. That's two more than my encounters with Criterion. With such a small release I wouldn't expect all distributors and liquor stores to be swimming in it, I don't see why they are so surprised.